Following her perilous fall from a throne she'd scarcely owned to begin with, Mary, Queen of Scots, has fled to England, hoping her cousin, Queen Elizabeth, will grant her asylum. But now Mary has her sights on the English crown, and Elizabeth enlists her most trusted subjects to protect it. Justine Thornleigh is delighting in the thrill of Queen Elizabeth's visit to her family's estate when the festivities are cut short by Mary's arrival. To Justine's surprise, the Thornleighs appoint her to serve as a spy in Mary's court. But bearing the guise of a lady-in-waiting is not Justine's only secret. The weight of her task is doubled by fears of revealing to her fiancé that she is in truth the daughter of his family's greatest rival. Duty-bound, Justine must sacrifice love as she navigates a deadly labyrinth of betrayal that could lead to the end of Elizabeth's fledgling reign. . . Compelling and inventive, Blood Between Queens artfully blends history's most intriguing figures with unforgettable characters, bringing to dazzling life the fascinating Tudor era. Barbara Kyle see all about her on her very interesting and thorough website! Here's a summary of her exploits in writing! "It felt like a natural extension of my acting to create characters for fiction. In 2008 Kensington Books published my first historical novel, The Queen’s Lady. Set in the court of King Henry VIII, "The Queen’s Lady" features Honor Larke, a (fictional) ward of (the real) Sir Thomas More. More was a brilliant scholar and a loving father, but as chancellor of England he banned books and burned men. My story turns on Honor’s passionate conflict with her once-beloved guardian as she tries to save More’s victims, enlisting rogue ship-captain Richard Thornleigh in her missions. Readers found these characters so engaging, I wrote a sequel, The King’s Daughter, featuring Honor and Richard’s daughter, Isabel. When Henry VIII’s bitter daughter, Queen Mary, launches her reign with a vow to annihilate heretics, Isabel Thornleigh must act quickly to save her family. Determined to rescue her father from prison, she entrusts her mission, and herself, to a ruthless soldier of fortune, Carlos Valverde. The Queen’s Captive came next. When Queen Mary releases her 20-year-old sister Princess Elizabeth from the Tower, hoping she'll make a false move and condemn herself, Honor Thornleigh returns from exile with Richard and their seafaring son, Adam, to help Elizabeth in the fight of her life. Playing a dangerous game as a double agent, aware that a false move of her own will expose her past as a condemned heretic, Honor finds her task made harder when Adam and Elizabeth fall in love. To save her family and Elizabeth, and herself, Honor must turn a headstrong princess into a queen before “Bloody Mary” destroys them all. The fourth book in the “Thornleigh” series is The Queen's Gamble. Isabel, the Thornleighs’ daughter, returns to London from the New World with her Spanish husband Carlos Valverde and their young son, and is swept up in the first international crisis of the young Queen’s Elizabeth reign: the French, who control Scotland, have landed troops along England’s border, threatening an invasion. The Queen recruits Isabel to take money secretly to aid the Scottish rebel faction trying to drive out the French. But when Carlos is sent to Scotland as a Spanish military adviser to the French troops, he and Isabel find they are on opposite sides in this deadly war – and the Queen has made their little boy her hostage. 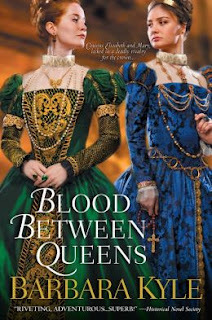 My newest "Thornleigh" novel is Blood Between Queens, which features two of history's most famous queens, Elizabeth I and Mary Queen of Scots, cousins locked in a deadly rivalry for the English crown. The story introduces a new Thornleigh family member, Justine, who begins as a loyal spy for one queen only to fall under the spell of the other. I love writing about the Tudor/Elizabethan period, whose "on the make" characters and life-and-death intrigues – to say nothing of the era's religious paranoia – speak deeply to our own time. I hope you'll agree, and will enjoy being caught up in the passions and setbacks, adventures and strivings of the Thornleigh family – Honor, Richard, Isabel, Adam, and Justine – as they befriend, and sometimes betray, their willful kings and queens. And, for something rather different, I hope you'll enjoy my contemporary novel of suspense, Entrapped. The stakes are high: life and death, love, and oil. Set in Alberta, Canada, Entrapped is the story of Liv Gardner, an ambitious young oil executive intent on stopping farmer Tom Wainwright who is sabotaging her rigs after a spill of lethal “sour” gas poisoned his wife. Desperate to save the company she built, Liv plants evidence to frame Tom. But when the evidence is used to indict him for a murder, only Liv can save him." Now a personal interview with Ms Kyle!!! Thanks for this opportunity to reach out to your readers, Deborah. I enjoy your blog. Tell us something about yourself, please. How do most people describe you? My readers in seven countries would describe me as the author of five historical novels set in Tudor England. My family, though, might describe me as someone who spends her days behind a closed door communing with imaginary people. Where is your favorite place to write? Any special gimmicks, writing tools or keepsakes that you keep near you when you write…I hear authors can be superstitious! I write in a small office where distractions are minimal: no talk, no music, and a phone I ignore all day until 4:00 p.m. To write, all I need is silence, warmth, and plenty of tea. And yes, I do have a favorite keepsake: a pine cone that a reader sent me from the grounds of Hever Castle, the home of Anne Boleyn. It's a touchstone that spirits me back to the Tudor world. It was such a kind gift, and I cherish it. Who first told you you could write well, and how did it affect you? I began as most writers do: writing short stories. My first efforts were awful, full of high-flown language and no point. Worse, no drama. But I learn fast, and I finally wrote a story that won a contest - nothing grand, just a contest held by my county's library association, but it meant everything to me, that validation of being a writer. Bless all libraries and librarians. Which contemporary authors do you most admire? Fiction: Ian McEwan, Kate Atkinson, William Boyd, Robin Maxwell, Herman Wouk, James Clavell, C.S Forester. Non-fiction: Adam Hochschild, Charles Nicholl, Stephen Greenblatt, and I'm looking forward to reading Susan Jacoby's new book. Which are your favorite classical authors? Jump into any book - which character would you be? If you could have 5 historical people to dinner, who would they be? What would you have to eat? Elizabeth I, Thomas Jefferson, Jane Austen, Rachel Carson, Captain Bligh (the most maligned person in history). I'm a vegetarian, so I'd serve plenty of fine wine to soothe my guests' anxiety about the lack of meat. "Homeland" and "The Daily Show with Jon Stewart"
It's a tie between "Howard's End" and "Shakespeare in Love"
Yes, I'm polishing the final draft of the sixth book in my "Thornleigh" series. The working title is The Queen's Exiles and it features Adam Thornleigh joining the Dutch rebels who called themselves the Sea Beggars in their fight against their Spanish occupiers. (I liken them to the Resistance in WW2 fighting the Nazis.) Once I've sent it to my publisher I'll start the research for the seventh book. I love writing about the Thornleigh family's passions and perils, their strivings and set-backs as they befriend and sometimes betray their will kings and queens. Anything else I forgot to ask you? Thank you, Barbara, for this thoughtful and insightful interview. I love your answers. Interesting choice of dinner partners, and so fascinating about your pine cone! I'm frightfully remiss in not having read all of the Thornleigh series. After reading "Blood Between Queens," I can't wait to sink my teeth into the other books I've missed. This was one of the best written historical novels I've yet to read. Ms Kyle is a storyteller of first rate! Not only are her characters believable and alive, but they are completely engaging. I was swept up immediately in the love affair of her main protagonist in this novel, Justine, who is a young, would-be orphan taken in by a kindly nobleman and his wife. The story is centered around Justine and her interactions with Mary Queen of Scots, her love interest and others. A wonderful storyline told with aplomb! Barbara Kyle knows her history! And, at the same time, there's never a dry moment in her telling of it. Every word is couched in a beautifully rendered story of the characters you well know in Tudor England and Scottish history. Mary Queen of Scots (a favorite of mine) is sympathetic in many ways, which I appreciated. I loved the way Ms Kyle did not deny her her beauty and misunderstood background. This is a novel of great storytelling and historical detail at the same time. It's a book that was difficult from which to tear myself away. I found myself smiling and applauding Barbara Kyle's presentation of her many characters. A warm and heart-wrenching story, it's one you'll never be sorry you chose to read. I, for one, cannot wait to hear more about Justine and Will, and all her Tudor era people. Wonderful review, wonderful interview, and wonderful closing review! I couldn't agree more with Deborah The Bookish Dame about Barbara's writing and storytelling, reading her books we are let into a master craftswoman's world and taken into the "alive" past. Thank you reviewer/interviewer and author! P.S. 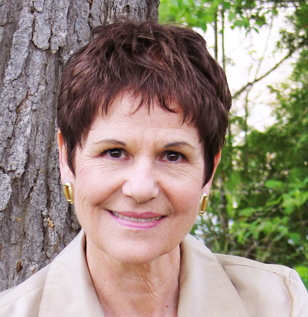 Stop by my blog today for another exclusive interview with bestselling author Barbara Kyle! "Game of Thrones" by George R. R. Martin~The HBO Series! "Bad Girls of the Bible" by Liz Curtis Higgs ~ Those Naughty Dames!